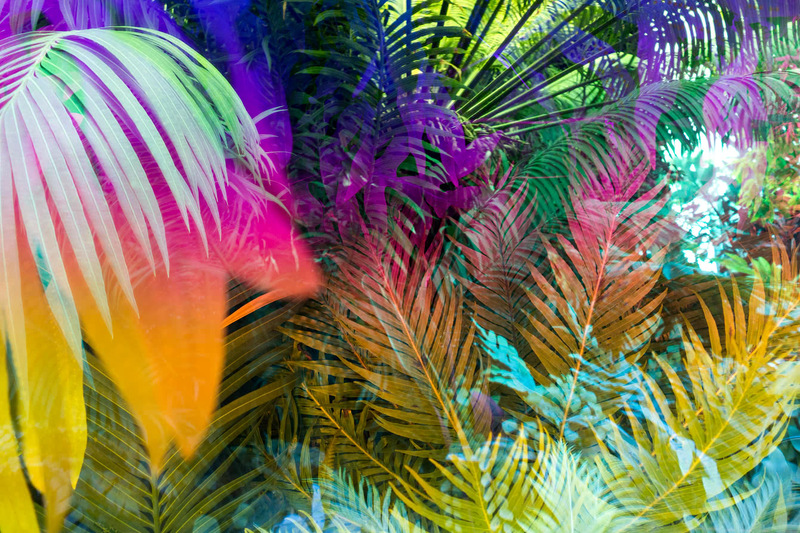 Karine Laval, “Heterotopia #64”, 2017. Image courtesy of Robert Koch Gallery. Ongoing to April 28th- Karine Laval, Heterotopia at Robert Koch Gallery: Karine Laval produces images that challenge the familiar perception we have of the world, and can be seen as a bridge between the place we inhabit and a more surreal and dreamlike dimension. They are metaphorical voyages or reveries through time, place, memory and perception, where narratives are expanded through visual transformations of represented reality. The term Heterotopia, the inspiration for Laval’s series, was coined by French philosopher Michel Foucault and refers to ‘spaces of otherness’ that are ‘neither here nor there’, Laval explains. The composite landscapes produced by Laval are at once familiar and conversely otherworldly, bursting from within with radioactive colors set in staccato. Omnipresent is the natural world, enveloped in aural resonance and ghostly organic layering created via the use of mirrors and glass, thus challenging our perceptions and forcing us to look deeper. Laval’s Heterotopia series is as much compositionally astute, as it is meditative and playfully experimental. Robert Koch Gallery is located at 49 Geary Street, 5th Floor. Nadja Verena Marcin, “OPHELIA”, 2018. Image courtesy of Minnesota Street Project. March 3rd, 4- 5pm- Nadja Verena Marcin’s OPHELIA at Minnesota Street Project: OPHELIA is an architectural, interdisciplinary live performance incorporating sculpture, sound and text by Nadja Verena Marcin. The piece will draw on masterworks from art history—such as John Everett Millais’s painting of the same name, “Three Ball Total Equilibrium Tank” (Jeff Koons, 1985), and “The Werld” (Daniil Kharms, 1939) —to reveal the negative effects of human activity on the planet. Floating in a salt-water solution in a life-size stainless steel sarcophagus, wearing a breathing mask and Ophelia’s dress, the artist Nadja Verena Marcin will quote text from Daniil Kharms’ “The Werld” about our limited human subjective perception. 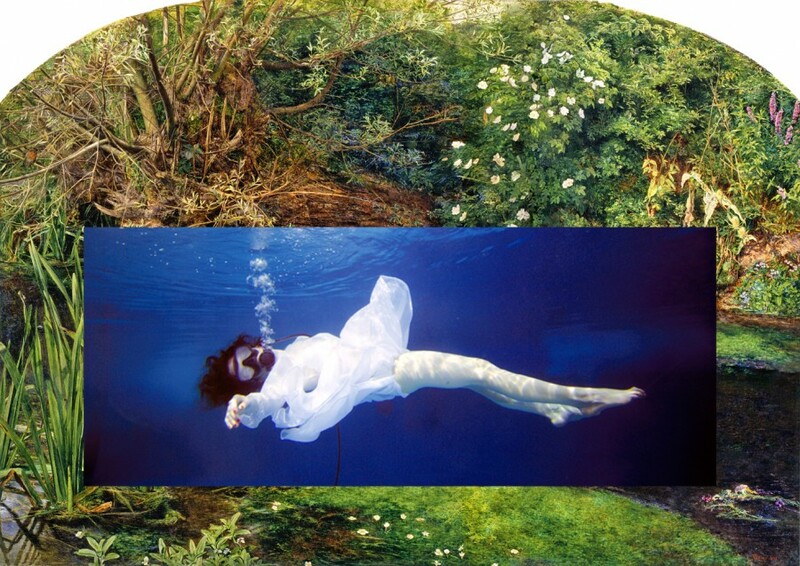 The image of a nineteenth-century Ophelia, supported via a breathing mask and reconfigured within a technologically constructed reality, becomes a metaphor for our current state of existence in the Anthropocene Period. Minnesota Street Project is located at 1275 Minnesota Street. Libby Black. (left) “Me Too”, 2018. (right) “Little Girl Blue”, 2018. Images courtesy of Guerrero Gallery. March 3rd to 31st- Libby Black / Little Girl Blue at Guerrero Gallery: Janis Joplin in her rendition of the popular show tune “Little Girl Blue” famously altered the lyrics doing away with the ending of the song in which a distraught girl can only be consoled by a man, insinuating an ambiguity in which the singer is in the position of both distraught woman and consoler, or a queering reinterpretation altogether. Removed from its musical context, the title assumes an even stranger resonance amidst the revolutionary fervor that’s fueled everything from the Women’s Marches to the #Metoo movement–seemingly belittling the struggles for equality by generations of women with a patronizing pat on the head. Little Girl Blue as an exhibition however, sees Black responding to this revolutionary moment and rapidly shifting cultural landscape through a mixture of intimate paintings, installation and the artist’s iconic painted paper sculptures of everyday objects–interrogating everything from domesticity, gender roles and lesbian culture, to addiction, activism and our material desires. Guerrero Gallery is located at 1465 Custer Avenue. 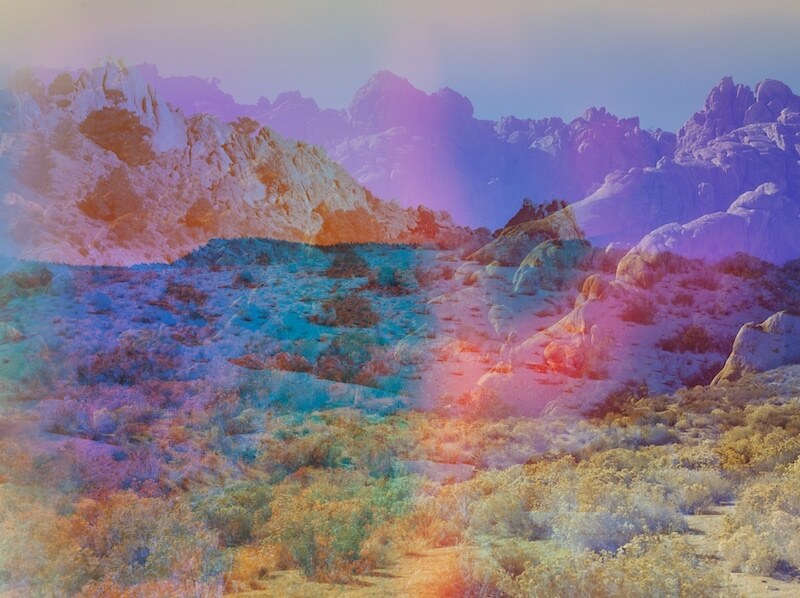 Terri Loewenthal, “Psychscape 18 (Banner Ridge, CA)”, 2017. Image courtesy of CULT. March 2nd to April 21st- TERRI LOEWENTHAL: Psychscapes at CULT: Terri Loewenthal investigates the sublime expanse of land and sky romanticized in the still-potent mythology of Utopian California with her new series Psychscapes. Using the California landscape, she continues her exploration of the medium of photography, specifically drawing attention to the relationship between illusion and materiality. These single-exposure, in-camera compositions utilize optics developed by the artist, to compress space instead of time. The results are complex evocative environments of saturated colors and a disorienting configuration of foreground and background, that reference the history of romantic landscapes while peering into the psychology of perception. CULT is located at 1217 Fell Street. (right) David Huffman, “Untitled”, 2017. 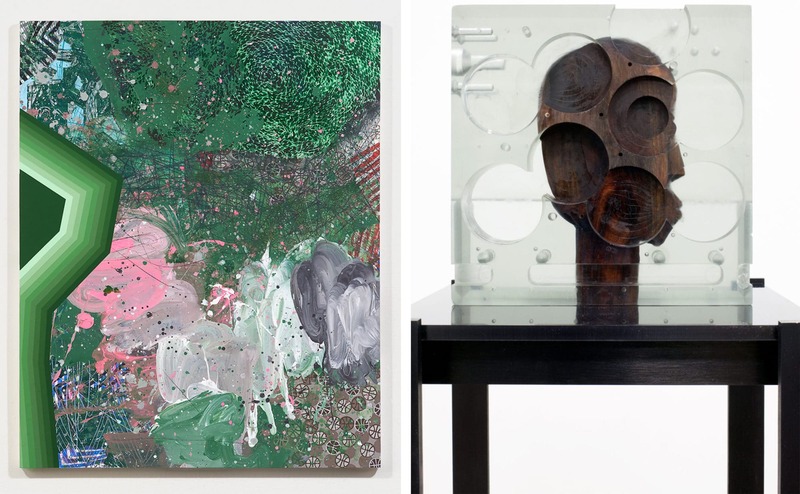 (left) Matthew Angelo Harrison, “Mk-002-archetypeB”, 2017. Images courtesy of Jessica Silverman Gallery. 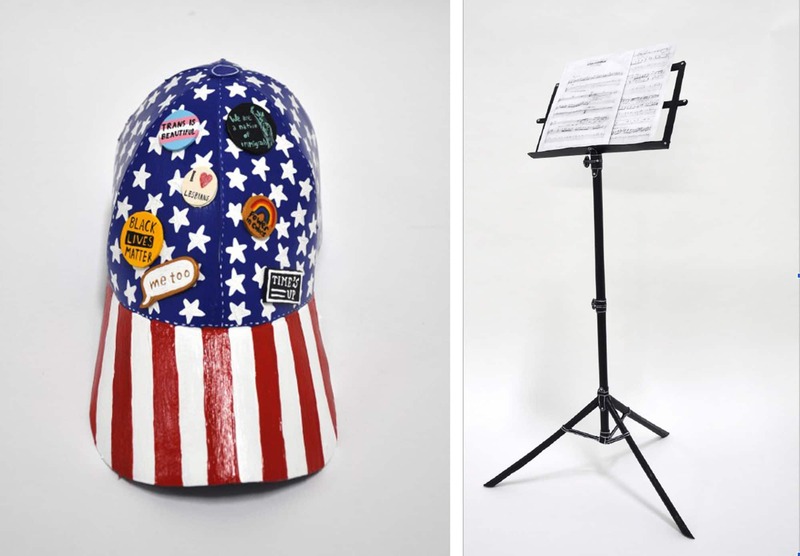 March 15th to April 21st- David Huffman: Urban Vernacular and Matthew Angelo Harrison at Jessica Silverman Gallery: These two shows coincidentally open this month at Jessica Silverman Gallery. Both artists are interested in the collision between the worlds of formal abstraction and social identity. David Huffman’s paintings are foregrounded by multi-layered expressive mark making punctuated by glitter, stamping, spray paint, paint and colored pencil. Further, loose painterly gestures billow across the surface while graphic gradient striping hugs tightly to the edges. Huffman’s color sense and studied gestures converse with a modern African Diaspora, aesthetics of science fiction, urban vernacular, and the idioms of abstraction interrogate the politics of race, activism, and painting. Matthew Angelo Harrison is a sculptor who explores the implication of emerging technologies and the porosity of cultural identity. He is interested in aspects of manufacturing, specifically its hidden performative aspect. Harrison calibrated his machines to introduce slight mutations to the masks’ physical characteristics with each printing. Each new version of the scanned artifacts becomes a copy of a copy; details are lost to abstraction, with no definitive authority on another’s identity. Harrison not only examines the division between hand-made and machine-made, but also between African culture and African-American culture. Jessica Silverman Gallery is located at 488 Ellis Street. Image from last years event. Image courtesy of Jenifer K Wofford. March 17th, 6- 11pm- MAKE IT SO, Annual Benefit Auction for Southern Exposure at Minnesota Street Project: MAKE IT SO is a celebration of the Southern Exposure community’s capacity to imagine better futures and envision art beyond the threshold of the unknown. The great hall of Minnesota Street Project will be imbued with a utopian sci-fi aesthetic as well as a spirit of solidarity and hope. 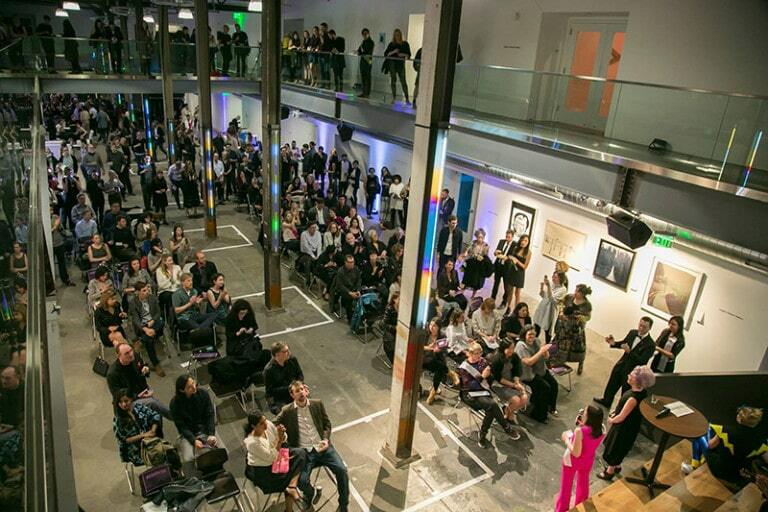 Some highlights of the event include performances, installations, and more than 125 works of contemporary art from emerging and internationally recognized artists. Minnesota Street Project is located at 1275 Minnesota Street. Visit Minnesota Street Project to preview the artwork and place absentee bids. The preview exhibition is free and open to the public. 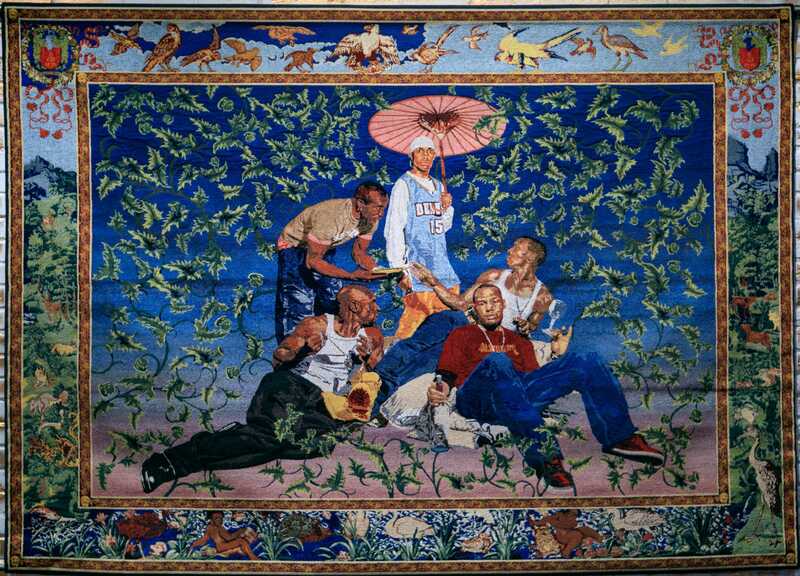 Kehinde Wiley, “Gypsy Fortune Teller”, 2007. Image courtesy of Suzy Gorman and The Oakland Museum of California. March 24th to August 12th- RESPECT: Hip-Hop Style & Wisdom at Oakland Museum of California: Hip-Hop is one of the widest reaching cultural and social movements of the last 50 years. Discover the unexpected story of how Hip-Hop changed the world, starting from its roots on the streets, before rap, DJing, street art, breakdancing, and street fashion launched into mainstream popular culture. In the exhibition you will learn about the West Coast’s and San Francisco Bay Area’s influences on this global phenomenon and hear first-person accounts from artists and experts about how Hip-Hop continues to provide a platform for creative expression, activism, youth development, and education. Oakland Museum of California is located at 1000 Oak Street in Oakland. Image from fall Open House, 2017. Image courtesy of Headlands Center for the Arts. 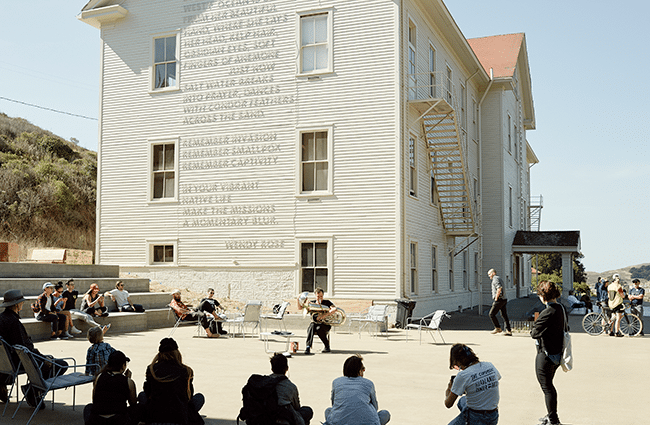 Sunday, March 25th, 12- 5pm- Spring Open House at Headlands Center for the Arts: The Open House provides a once-in-a-season opportunity to roam the various buildings of the Headlands Center for the Arts campus. You will have the opportunity to meet current artists, view works in progress, attend performances and readings, and enjoy a house- made lunch in the Mess Hall Café. Participating artists include: José Figueroa, Kate Folk, Stacey Goodman, Alison Haselbeck, Kunlin He, Constance Hockaday, Nicole Lavelle, Marco Lean, Daniel Melo, Richard-Jonathan Nelson, Mary O’Brien, Jennie Ottinger, Ploi Pirapokin, Dean Rader, James Sansing, Joshua Solis, Faith Sponsler, Christopher Squier, Angela Willetts, Emily Wolahan, and Minoosh Zomorodinia. Headlands Center for the Arts is located at 944 Simmonds Road in Sausalito. Scheduled to be completed at the end of 2018, The Broadway is a high-rise residential tower in Oakland. 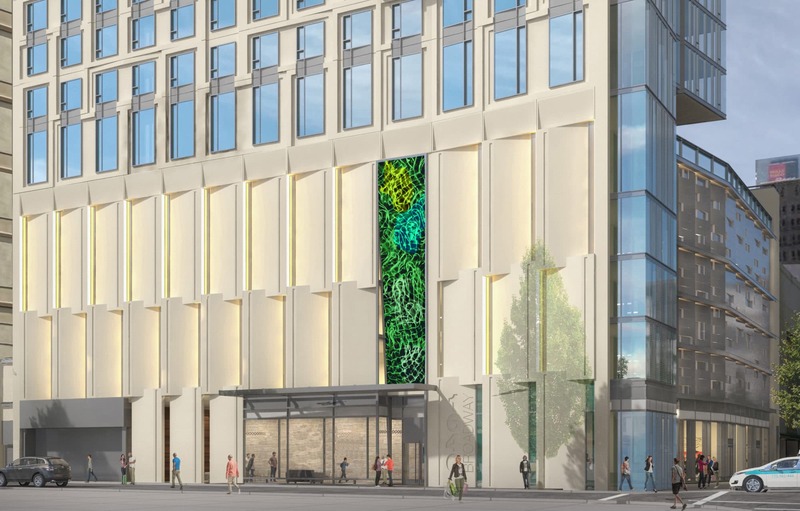 For the public art requirement, Oakland based artist David Huffman is creating a 45 foot tall glass piece that will define the front entrance of the building. The glass piece entitled Ascension is based on Huffman’s painting practice, and will be accompanied by a site-specific painting to be hung in the lobby. David Huffman, “Ascension”, custom hand-painted glass installation.